"Exactly what the name suggests......These are the yummiest chocolates ever......."
"These little nibs are truely delicious! I've only tried one other. Rand and these beat them hands down"
"I did love the chocolate and the mold and the sweetener which gave a unique texture. I adore the three-bar chocolate mold but might cut it up for ease of use. And I loved the caring service I received from the team. " "I bought a tray of choc omega for my vegan friend and her lodgers as a thank you. They all absolutely loved it! Fantastic online service which is easy to use so happy customers all round. 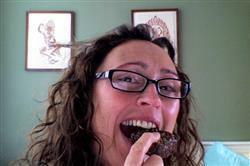 Thank you so much for your amazing choccy creations x"
"I adore Yummy Scrummy Raw Chocolate Brownie, thank you." "This was purchased as a Christmas present so I haven't tried it. However I will be purchasing from you again as a gift and a kit for myself. The order was delivered quickly and is beautifully packaged." "This is my favourite sticky raw honey. Proper honey, not the refined yuck you find in the supermarket aisle. Use in my baking, raw Choc making and everything else that needs a little sweetening ♥️ Very tasty and Morish. " "The product has exceptional quality and definitely elevates the flavor to the next level. Definitely recommend it!" "Lovely. Ethically sourced etc. " "top quality - not used any other brand to be honest, so can't compare on taste. But produces rich delicious chocolate and I like to know that I am using best quality and ethically sourced etc. Always worth paying for!" "I love this and actually have two one for work one for home "
"Excellent goods, service, very helpful & happy team. Well done. I"
"Excellent product, use to put in my raw choc brownies to make them chocolate chip :) Excellent service and love this company. Tell all my friends to use this company too :) "
"Delicious. Would buy again. " "Amazing ! So good i ordered more ! My new fave !" "Love this mould. I use mine for wax and they pop out a treat." "Loved this, bought two one as a gift and could not resist one for me. I am involved in the Bath Chilli and Chocolate Festival, so I tried the chilli chocolate gift pack, and it was lovely and warm! Beautiful gift packaging, looks great as a gift. Instructions really easy to follow, and ingredients seem very high quality... you really can't go wrong! My other half wants me to try vanilla next, he has more of a sweet tooth, so gonna give that a go by adapting the recipe, wish me luck!" "Sooo good love them !! 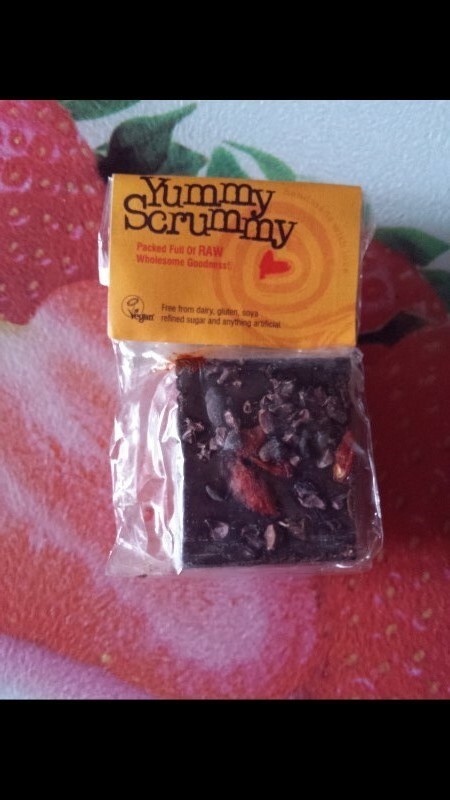 Have ordered more yummmmmmmm"
"I'm happy to recommend Elements For Life as a raw chocolate supplier. The team are lovely humans not machines. They obviously really believe in all their products & are quick to complete & send out my orders. I have been shopping with them for approx 7 months now & have built up my ingredients & equipment for making yummy chocs. Their chocolate moulds are so easy to use & clean. Now I'm gaining confidence in adding nuts & flavours to my healthy home made chocolates & enjoying chocolate without​ any guilt. At the moment friends & family are not sure about the health side if these wonderful treats, so I get to eat most of them, great. VP"
"I recently purchased some of the raw chocolate brownies. They are AMAZING. Will definitely buy again. Best brownies I have ever had. Would highly recommend "
"Receiver of gift was extremely happy & said it was well presented." "Thought was very sturdy therefore more difficult to extract the chocolates. Also need to make more chocolate in order to fill them!" "This makes a great topping for an otherwise sugar free bowl of fruit and yogurt! " "Excellent flavour. Cynical husband quietly impressed!" "Flavoursome and I will definitely be reordering." "perfect purchase from a perfect team, wonderfully helpful, thoughtful, kind and generous in nature are paula and dan et al ... made my raw lavender cheesecake a dream, thank you ***"
"These are honestly so so tasty!! The delivery was great and the product was delicious!!"